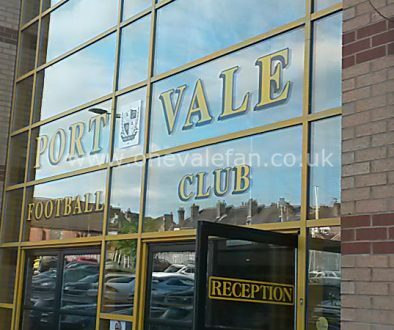 OVF editor Rob Fielding says he’s hoping for a swift end for the dispute between Port Vale FC and the local newspaper. I’d like to get a declaration in early – I’m strictly a neutral in this whole club versus newspaper affair. I appreciate the huge impact the Sentinel’s fantastic reporting of the MOLD misdeeds and subsequent “Save the Vale” campaign had. I have an awful lot of time for both Martin Tideswell and Michael Baggaley – fine journalists, both. I also appreciate that Norman Smurthwaite’s commitment and cash has taken Vale from the brink of disaster to a comfortable League One placing. 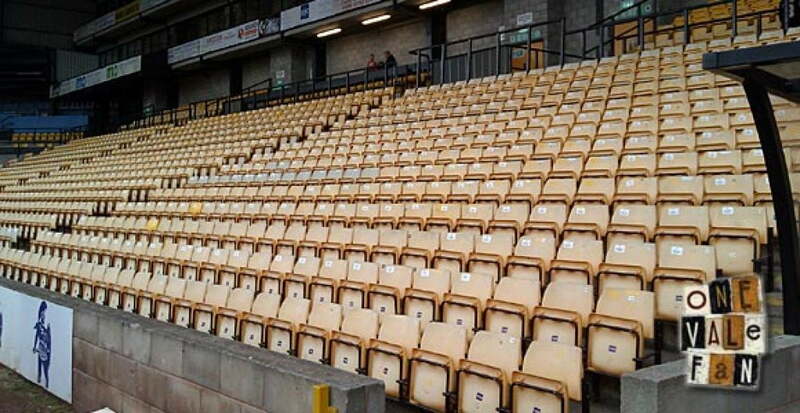 All I can offer is a Port Vale fan’s perspective. 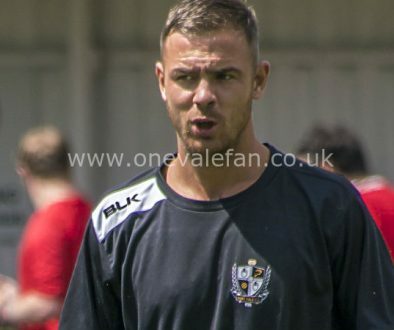 As a Vale supporter, I care passionately about the Valiants and especially issues that I feel can damage the club’s reputation. It’s with that in mind, that I offer my take on this controversy. It’s difficult to comment on the arguments and counter-arguments because I wasn’t there when they were made. 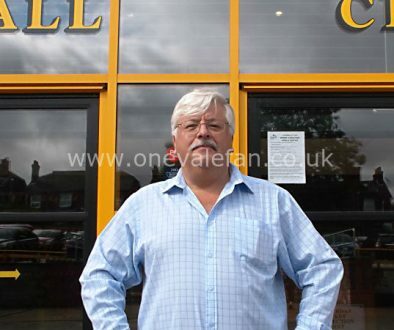 While several national newspapers have poured scorn on the club after the Sentinel claimed it asked them to pay £10,000 for Vale coverage, it should be noted that Norman Smurthwaite denied that request was ever made. I wonder if the same newspapers, in the interest of balance, will edit their somewhat sensationalised reports to include Smurthwaite’s side of the argument? There was a lot of talk of a “bullying” owner in those editorials; but are the national papers, by only reporting the Sentinel’s side, guilty of a similar dereliction of duty? The Sentinel claims that Smurthwaite took umbrage over a balanced story that the Vale owner called “negative” – Smurthwaite says it wasn’t about the story, it was the way the newspaper tried to get quotes from him when he’d asked them to go through the club. He also claims it was due to a breakdown in trust over confidential matters given to Tideswell wheras the newspaper says it has phone records proving that Smurthwaite has subsequently changed his story and it was clearly just about the special-edition shirt story. It has to be said that it was the club banning the Sentinel Journalists from the press box that kicked this whole thing off, while Monday’s Sentinel feature brought it to the attention of a mass audience. I’ve no doubt that both sides may take umbrage at my amateur summary of the dispute. Both may feel I haven’t done their case justice. But it’s a funny position I find myself in right now because personally I don’t want the newspaper and the club to fall out. Regardless of who started it and who said what, I simply don’t think this mess does either of them any favours. I think that regardless of who is right and who is wrong, it’s important that both parties sit down again and resolve this dispute rapidly and in private. As a goodwill gesture, it would be nice to see Port Vale allowing Mike Baggaley, an excellent journalist who has personally done nothing wrong, back into the press box. On the other hand, if the Sentinel feels it has a cast iron case, let it publish the transcripts of what was originally said – the newspaper claims it disproves the club’s official response and reasons, so surely it’s time to produce the evidence if it has it? Finally, a joint statement would also be a good idea – if both sides cannot agree on this then at least agree to disagree, set mutually agreed guidelines and start working with each other again. All hail ‘brave’ Micky Adams	Don’t take sides, just tell them to sort it out!